Every two weeks, Seibertron.com brings you a Top 5 list related to all things Transformers written by me, your fellow editor. These are my opinions (just like movie or game reviews hosted by sites are still just the opinion of one person) so what matters most is what you guys think of the topic or list, and I hope to see your own lists or comments on omissions and ranking. Let's have fun! All previous lists can be found here. 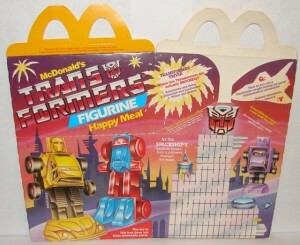 Transformer themed toys have been part of McDonalds Happy Meals since the 80s and there have been many promotions for the brand since then where kids would get a Transformers toy in their Happy Meal. 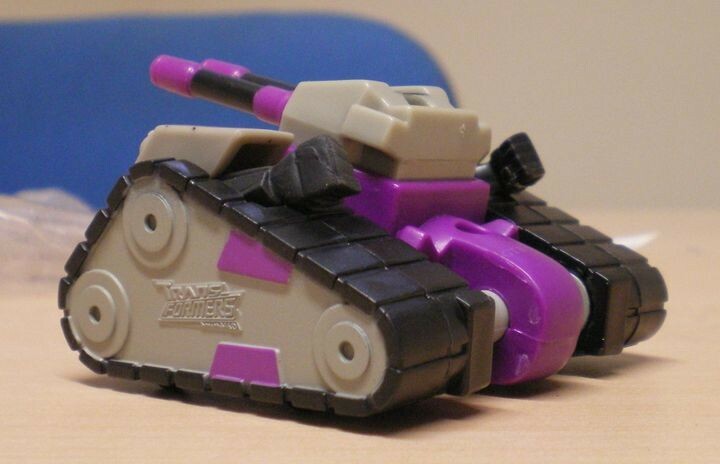 This week we look at the top 5 Happy Meal toylines that dealt with Transformers. Ok so these are not branded Transformers, but this is too perfect for me not to include, and worth more than just a mention. And let's face it, if I leave these out of this list, that's all I will hear. Transformers toys in the 80s were HUGE to the point that, 30 years later, we have this site dedicated to them and there is still a Transformers section in your store with new toys coming in every year. These Changeables are some fun evidence that everyone wanted in on the transfoming toy action back in the day and in 1987, McDonalds themselves could not resist and released these toys for their happy meals that were robots which could transform into Mcdonalds food items. While far from the best, these toys had a lot going for them. 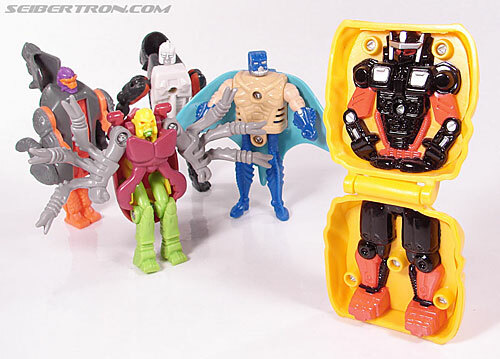 Sure, they transformed from vehicle to robot (which is ALOT more than we can say about today's toys), but they also had Minicon ports, and had individual gimmicks like wind up motors, plus they .... combined. But hey Minicon ports, which makes this the only McDonalds toyline to have a direct integration with the in store toyline. These are, to date, the last Transforming toys we got from McDonalds. They were not the best but looked better than the Armada toys and there was even a European exclusive Blitzwing which might be the best of the bunch. The approach mcDonalds took with Beat Wars was really outside the box. 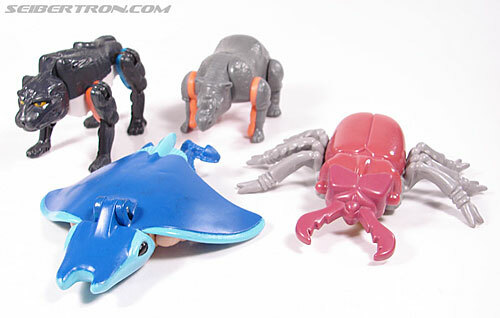 Instead of making representations of the character we knew in simpler forms, they gave us fully new characters and some new alt modes such as a Manta Ray (remember, this is before Depthcharge). So far it is the only time we have ever gotten fully new Transformers characters intriduced as Fast Food exclusive toys and now have in universe profiles and also appeared in Comic Books. They are technically essential for any Beast Wars collection if our aim is to cover all Beast Wars characters. Also, these came in probably the coolest Happy Meal Box of all time. And lest we forget that the toy for kids Under 3, got his own Classics update. 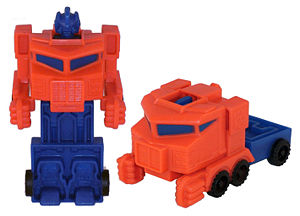 I simply think these are the best looking Happy Meal toys we ever got for the Transformers brand. A kid in that era could get the entire line up just from these toys, and they would be in better scale and closer in look to the more expensive options on the shelves. Plus there was great light piping. I especially like that Rattrap and blackarachnia. For some fun trivia that Rattrap toy was also used in Little Red Rooster meals at the Australian chain Red Rooster, and came in different colours. 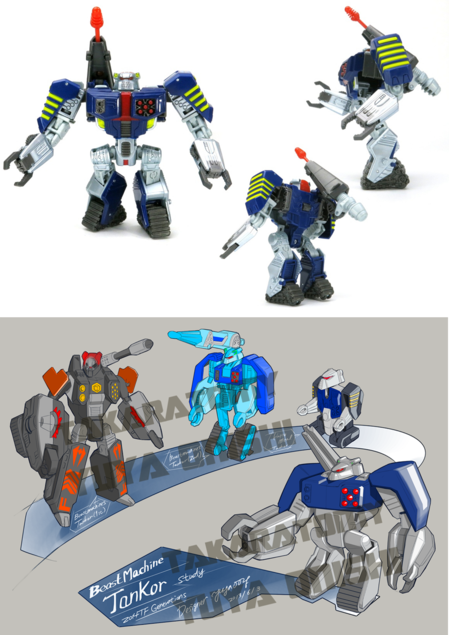 Also the Tankor toy was used as reference (among other toys) by Takara for the Generations Tankor we got a few years back. Unlike the others on this list, these are actual full on retail toys sold at McDonalds. They were not part of the happy meal and had to be purchase seperately. However, they were made by TOMY (the company which also made Omega Supreme back in that era) and had a rather impressive wind up mechanism that worked in both modes. So you could wind them up and let them go in vehicle mode as you could imagine, but they also had a walking mechanism where if you wound them up and mad them stand in their robot mode, they would start walking. These were also avaiable at retail in different packaging under the name Super Alternators. If you want to know more, there is a very comprehensive review here. 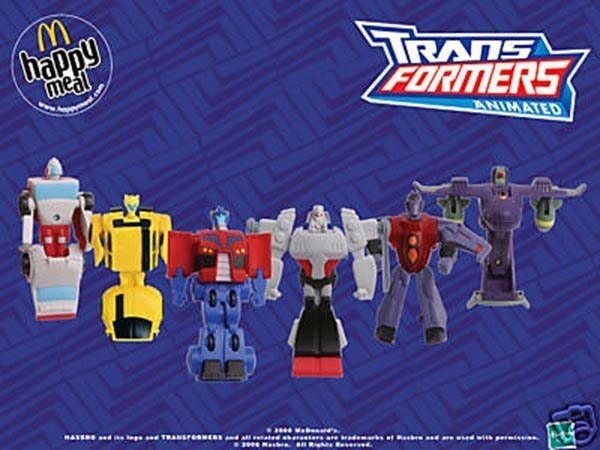 These were eventually brought into the Transformers Animated unviverse by being mentioned in teh Allspark Almanac II. Plus, Sterling, an Atobot from the IDW comics has his colours based off of Commandron Solardyn. 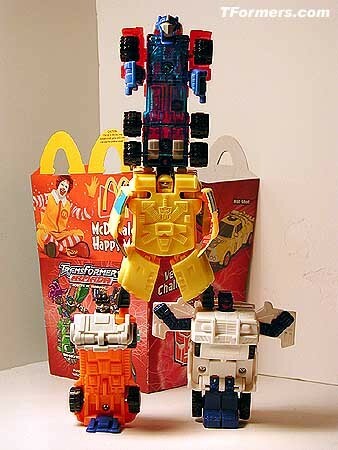 Also, if anyone is curious, McDonalds did have an actual G1 promotion with toys but they only tested it out in St Louis. The toys were non transforming and in a full range of random colours, as you can see below. I never ever bought any of these McDonald toys at the restaurants. Either my parents were too poor (or too mean ) or I was a teen/adult without any interests in TF at the time. At least I came across several of them via thrift stores baggies and random lot. Mainly the Beast Wars and Animated ones. Pretty damn nice. And if memory doesn't fail me, I never owned any Commandrons as a child but I did played with them at friend's and I was full jealous of them. I now own all 4 thanks to Ebay and even to this days, I find them super cool and impressive. The only McDonald's one I got as a kid was the (second?) Chicken Nuggets one... even tho I didn't eat them at the time (I do now a lot, don't like their burgers). Impressively, that was back in Holland. Later my wife and I bought a whole bag of those second-hand (along with some old My Little Pony toys), same country. Need to re-check which ones I have. The fact that you don't have changeable as the #1 entry..... Well, the level of internet rage I'm feeling is what I suspect liberals feel when they see a picture of Trump! I'm surprised the Transmetal Beaat Wars toys aren't on here. Whereas the first batch gave us all new characters, the second one gave us new forms of existing characters. Some of them even got official explanations in the Beast Wars Sourcebook. Ironhidensh wrote: The fact that you don't have changeable as the #1 entry..... Well, the level of internet rage I'm feeling is what I suspect liberals feel when they see a picture of Trump! I wasnt gonna put the non Transformers brand toys as number 1, simple as that. Because if I would, then even the commandrons would beat the changeables (and beast machines would beat them too, in my opinion). Lore Keeper wrote: I'm surprised the Transmetal Beaat Wars toys aren't on here. Whereas the first batch gave us all new characters, the second one gave us new forms of existing characters. Some of them even got official explanations in the Beast Wars Sourcebook. I just didnt find the toys as interesting or varried than the others on this list. I own most of the Animated ones, bar Bumblebee, but I gotta say, I like them the most, even though I have none of the others (that transform at least). Optimus Prime is probably my favorite of the bunch, and I enjoy transforming him from time to time. I'd say the most notable toy in the Beast Machines lot is Nightscream, in that he's actually superior to the mainline toy: not only does he scale better, but the bot mode is actually more show-accurate, with the wings on his feet! 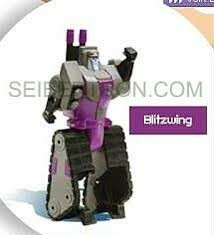 Alas, to enable that groundbreaking swing-set mode, the store-toy had to put the wings on his shoulders and make him 10 times larger than Silverbolt. And was the appearance of Grizzly-1 on one of the boxes ultimately the only reason he became his own character distinct from Polar Claw? I kind of regret not getting that sweet cardboard more than the actual toys, especially considering they're a rather large percentage of the minuscule Beast Wars print media produced concurrent with the toyline. Someday I'll find them. And that Wendy's GoBot placemat--erm, tray-paper-comic? As usual, an awesome list! Interesting list! Those Changeables kinda give me proto-Botbot vibes. I never went to McDonalds as a kid (I've never been a big fast food fan) but it was interesting to see these documented. 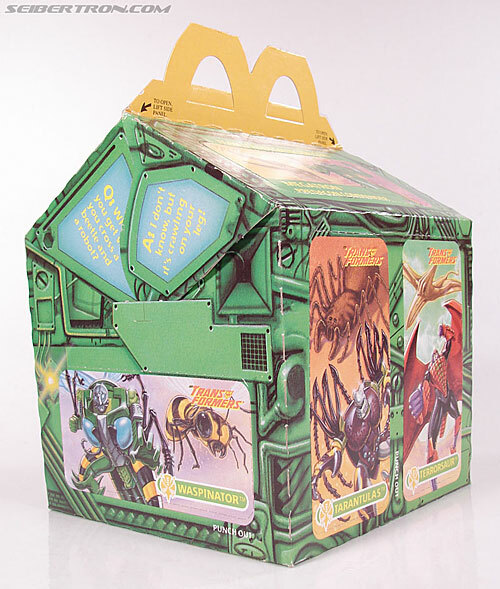 Holy balls I had forgotten just how bad those Armada happy meal toys were. 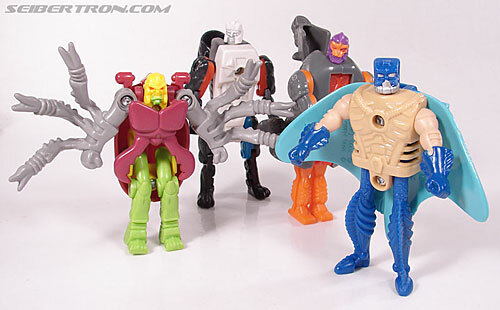 My cousin and I were about 8-9 years old when Beast Machines was out, and when we got the happy meal figures we remarked how show-accurate they were. Fun list! Such a neat and niche little corner of the collectordom. I still have all those Changables from my childhood. I often like to have a Titan snack on them. I have a couple of the Beast Wars guys. Can't even remember how I got them. I don't think it was from ordering Happy Meals. Also thanks to our very own WillyJim here, I proudly own and display a full set of those Commandrons in my G1 display. I think they were the shwag left from his many thrift shop treasure finds. They are silly fun, and just dripping with low-fi 80's robot toyness. Thanks Will! I don't remember those actual G1 tie-ins. Those would be fun to have. 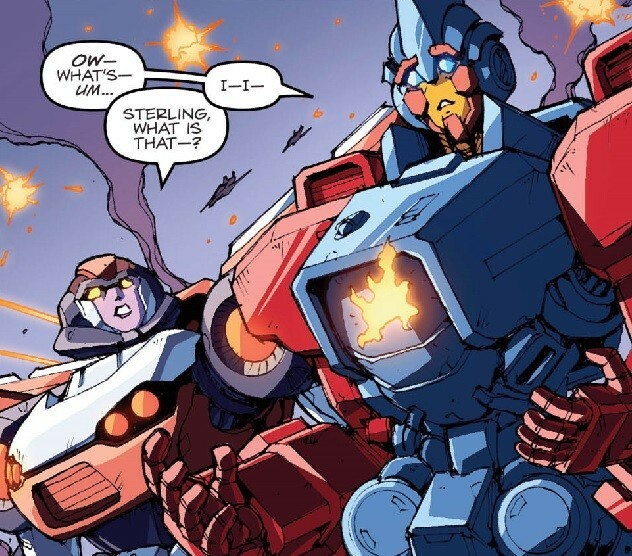 Were they actual TF characters or just Randotrons? Edit: A closer look shows they are. Bee, Cliff, Brawn, and Gears? Nathaniel Prime wrote: I own most of the Animated ones, bar Bumblebee, but I gotta say, I like them the most, even though I have none of the others (that transform at least). Optimus Prime is probably my favorite of the bunch, and I enjoy transforming him from time to time. Thanks for the very kind words. As Cobo said, this is very niche, but I think its just as important since many of us did get to experience Transformers through these promotions, so I really wanted to give this its full attention. For those who didnt see the G1 toys (which are indeed 4 G1 bots in robot mode), thats because the G1 promotion was only done in St Louis as a test and never reached the wider US. Sadly the author did not tink the TLK voyager was a top 5 contender but that was their opinion and I respect it. Great list. Personally I would have swapped Beast Wars and Beast Machines as I feel the BW figures are better made and better looking giving us new characters rather than attempting to recreate existing characters as simply as possible. Just finished (read gave up) looking for some of these guys in the chaos that is moving, only to find out that while my older brother did have three to four of them that he is ninety-ish percent certain to have thrown them away before I came along. May they rest in piece like some of the G1 parts and accessories that were thrown away back then. Just curious, what do you mean by cybetron prime? 4,517 pages were recently viewed by 897 unique visitors. This page was viewed 1 times on Saturday, April 20th 2019 8:04am CDT. © 2019 Seibertron, Inc. DBA Seibertron.com. All Rights Reserved. Established June 2000. Seibertron.com is owned by Ryan Yzquierdo.